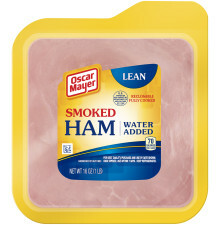 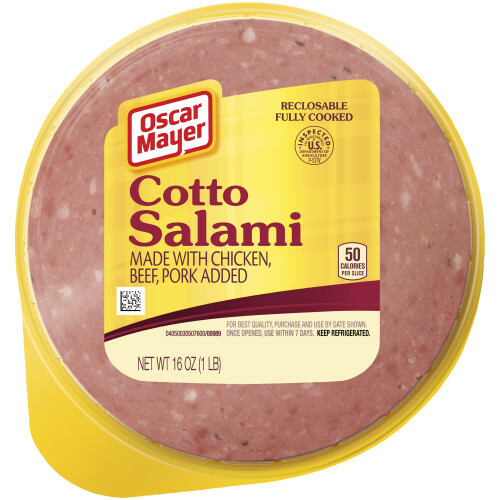 OSCAR MAYER Cotto Salami is made with quality meat and packed with flavor. 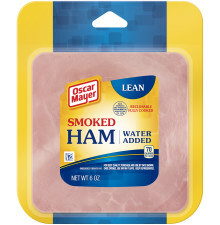 Add it to your favorite sandwich or enjoy by itself for a quick and tasty snack. 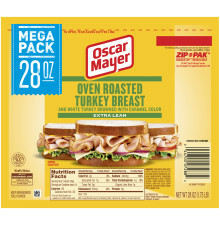 MECHANICALLY SEPARATED CHICKEN, BEEF HEARTS, PORK, WATER, CORN SYRUP, CONTAINS LESS THAN 2% OF SALT, GROUND MUSTARD SEED, SODIUM PHOSPHATES, SODIUM PROPIONATE, FLAVOR, SODIUM DIACETATE, SODIUM BENZOATE, DRIED GARLIC, SODIUM NITRITE, DEXTROSE, SODIUM ASCORBATE, POTASSIUM CHLORIDE, SUGAR, SOY LECITHIN.